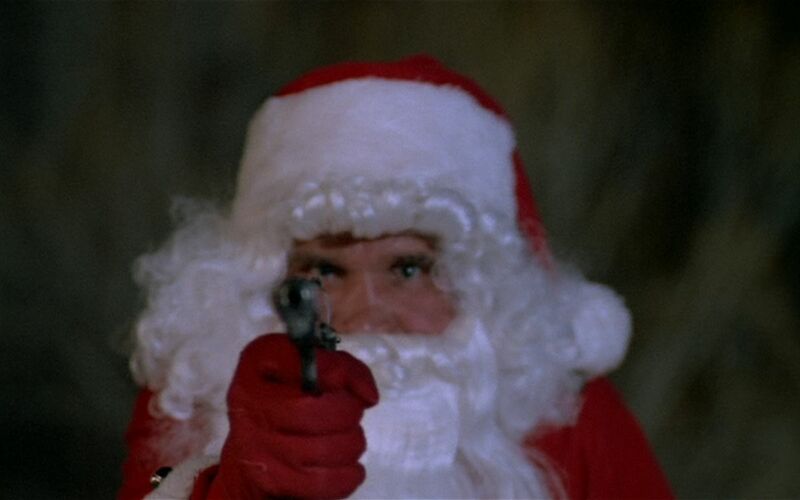 It’s like something straight out of the SILENT NIGHT, DEADLY NIGHT franchise… only it’s real. In Covina, CA, in 2008, at 11:30 pm on Christmas Eve, a man named Bruce Pardo arrived at the home of his ex-in-laws dressed as Santa Claus. Under one arm, he held a large, giftwrapped package; in the other hand, he held a 9mm semi-automatic handgun. He knocked on the door… and when the door opened, Pardo opened fire. Several victims immediately fell; one potential victim escaped to a neighbor. It’s posited by the police that Pardo pointedly killed some of the family execution style. Following the chaos, Pardo opened the package he carried with him to reveal a makeshift flamethrower he’d built himself. He sprayed the house with fuel, then set the house, and some of the victims, on fire. In the process, he himself was badly burned. He left the blazing house, injured and in pain. Eventually firefighters arrived and spent 90 minutes putting the fire out. In the aftermath, it was eventually revealed that Pardo took ten lives — including his own. The weird, sad detail of the Pardo murders is the aftermath: Pardo was discovered shortly after the fire, dead, at his brother’s house 30 miles away. His brother wasn’t home, but Pardo had entered and taken his own life with a shotgun. Thanks to the heat of the fire, it was reported, large chunks of the polyester Santa suit had melted, adhering itself to Pardo’s skin. Pardo left the scene, partially melted into a Santa Claus suit, got behind the wheel of a car, and drove 30 miles away. No short trip, that. Pardo is a classic case of the normal man who, given the right circumstances, can simply snap. Dressing up like Santa Claus and murdering ten people with guns and a homemade flamethrower is not something a sane person does. But for Bruce Pardo, a man with no previous history of violence or mental illness, it was the logical thing to do for one horrible night. Pardo was clearly gearing up for something for a while, though; after his death, the police recovered even more guns, bombs, and other instruments of mayhem at his home. We can only speculate why Pardo went from an ordinary man into a Santa Claus bomb-maker. He was recently fired from his job as an electrical engineer, which can weigh heavily on anyone. Additionally, however, he recently divorced his wife, Sylvia, in what looked to be a messy and financially troubling separation. His ex required child support (for three children from a previous marriage), and he simply couldn’t afford it. He tried to commit fraud with his job to get some aid (he claimed he was working more than he was to soften the court’s payments), but it didn’t work. That’s why he got fired. So Pardo’s case could just be an extreme example of a man in dire straits, eager to free himself from a vindictive ex-wife and a mountain of debt. When you’re in such a position, perhaps a spectacular fire seems all the more reasonable an option. That’s how an entire family ends up dead at the hands of an evil Santa Claus. But why Santa Claus? Why Christmas? That much is unknown… but it’s entirely possible that Pardo had been subtly informed by Christmas-themed horror movies. A few movies, at the very least, were definitely inspired by Pardo. 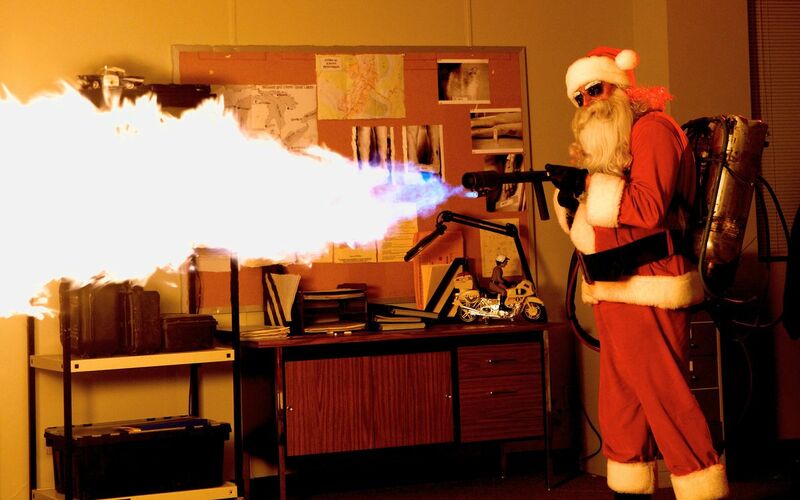 In 2012, filmmaker Steven C. Miller remade SILENT NIGHT, DEADLY NIGHT as simply SILENT NIGHT, which featured a promotional image of an evil Santa Claus wielding a flamethrower. 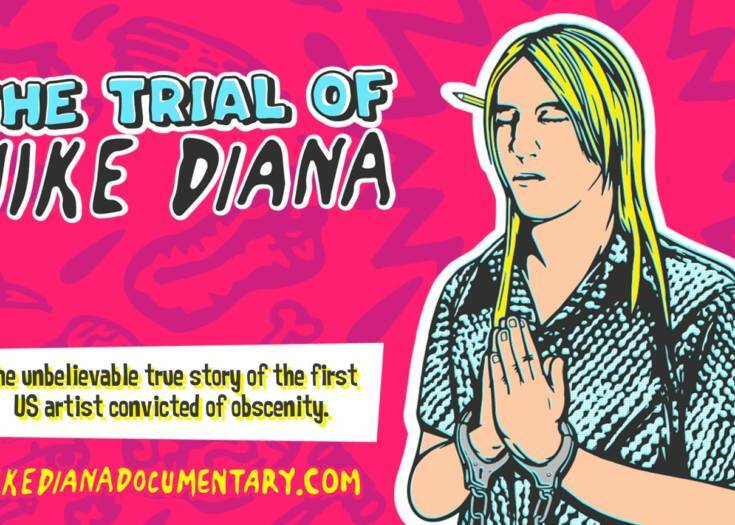 The incident also inspired Poly Styrene, the slightly unbalanced lead singer of the revolutionary British punk bad X-Ray Spex, to write a song about it. 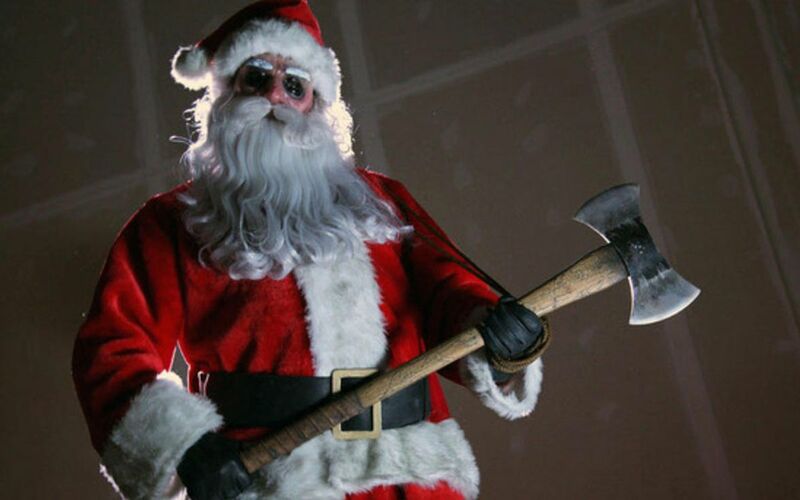 The song was called “Black Christmas”… which, as you know, is also the title of a important late-’70s slasher movie. Escape was a common theme in Pardo’s life. He often would run off to vacation destinations like Tahiti, and he was inclined to play outside of the rules — it’s been reported that he hacked into his job’s servers from time to time just to nose around. Testimony from his ex-girlfriends seems to back this up. From inside, that looks like punk awesomeness; from the outside… well, the word is sociopath. Indeed, when Pardo was 24, he promised to marry his then-girlfriend, only to stand her up at the altar, steal $3000 of her money, and go on a pleasure cruise to Palm Springs. Pardo, it was eventually revealed, had a son from a previous relationship. When his son was 13 months old, he fell into a pool and nearly drowned. The boy lost the ability to walk, and suffered from brain damage after an extended coma. Pardo abandoned this family. The most fascinating part of the story for me, though, is that 30-mile drive. Bruce Pardo had bought plane tickets to leave town, but clearly never made the trip. 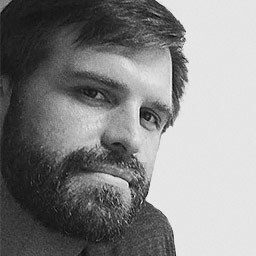 It’s entirely likely that he fully intended to end his own life following the slayings… but what happened during those 30 miles? Picture it: a man just murdered his old in-laws — ten people, you recall — and set their house on fire. He was badly burned — likely in tremendous pain — when he threw some clothes over his scorched skin, already permanently fused with a cheap Santa Claus suit. In this state, he drove 30 miles. Even in light traffic, in the middle of the night, on Christmas morning, that’s not a short trip. Here was a scorched, melted Santa Claus, raw from having committed a horrendous crime, ambling through Covina on Christmas morning. Did he listen to the radio? Did he have a mix tape in the car? Did he sing along? Was he weeping? Pleased? Vindictive? Regretful? Wracked by overwhelming guilt? Too numb to think about it? Was he even sane anymore? Did he talk to himself on that drive? In a way, that drive was an eternal, Peckinpah-like rumination from a wounded man — a man on a highway to Hell. I picture him listening to music, rotating through every emotion on the human spectrum. Perhaps he felt free, or perhaps he felt that this was the worst possible decision he could have made; perhaps he felt both of these things simultaneously. It’s likely his suicide was planned from the start… so there was a period to Bruce Pardo’s life, mapped out before he even bought that Santa Suit. 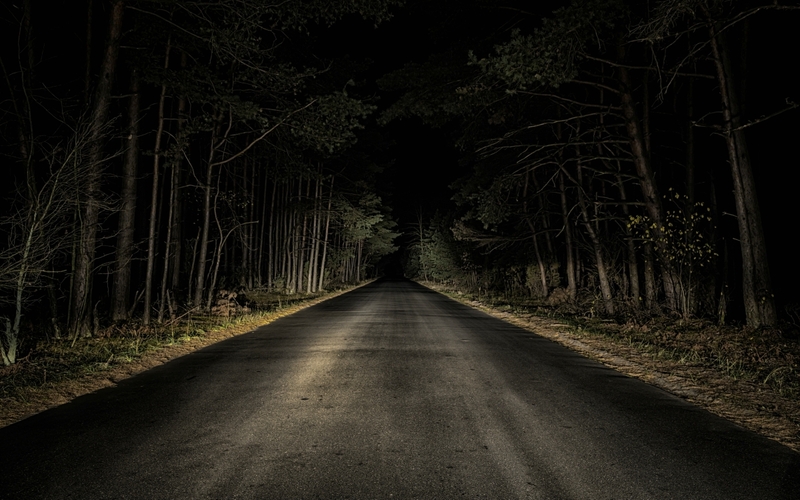 Here was a man who is like a lot of us: We think we’re extraordinary, but bad circumstances and run-of-the-mill cowardice can force us to flee life. Eventually, casual sociopathy can grow into proper sociopathy… and that can lead to a twisted view of the world. 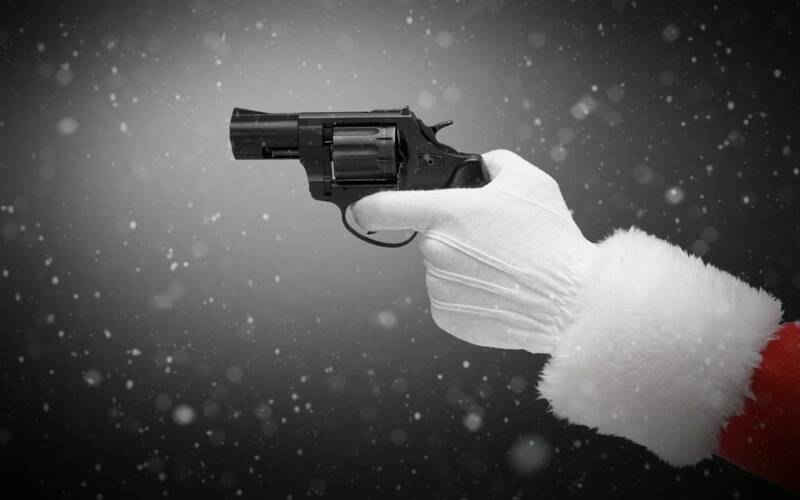 The result of that worldview could end in a whirlwind of Christmas violence. Previous Story SHOCK WAVES Episode 25 Part 2: Vestron Video Reborn! Short Of The Week: Beware Of The Horror That Awaits On THE LONG WALK!